With no motive and no connection found between the victims, the police are helpless to prevent the rampage from continuing. It doesn’t help that the Field Agent sent by the FBI clashes with Nick’s style in handling the investigation. But Nick isn’t done. He decides to take matters into his own hands, unwittingly setting himself up as the next target for a ruthless killer who can’t be stopped. 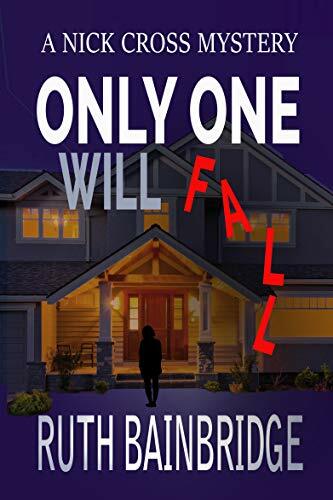 Click here to pick up your free copy of Only One Will Fall in the Amazon Kindle store. I was born in the idyllic, sleepy town of Ithaca, NY, and have been a lover of mysteries for my entire life. Ever since I was a child, I’ve consumed detective stories at regular intervals, becoming enamored with all the superstars of crime. I loved matching wits (and still do) with Hercule Poirot, Miss Marple, Thomas Pitt, Lord Peter Wimsey, Richard Jury and Edward X Delaney. In fact, I was so inspired by their brilliance that I began trying to emulate my writing idol’s achievements by composing my own short stories. However, life interfered with my plans of becoming the next hopeful to try a life of crime–on paper at least. I devoted myself to my marriage and the raising of four delicious, sometimes obedient children. But the empty nest syndrome happened and gave me the impetus to return to my first love–murder. 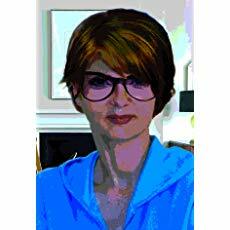 You can visit Ruth’s Amazon author page if you click here.